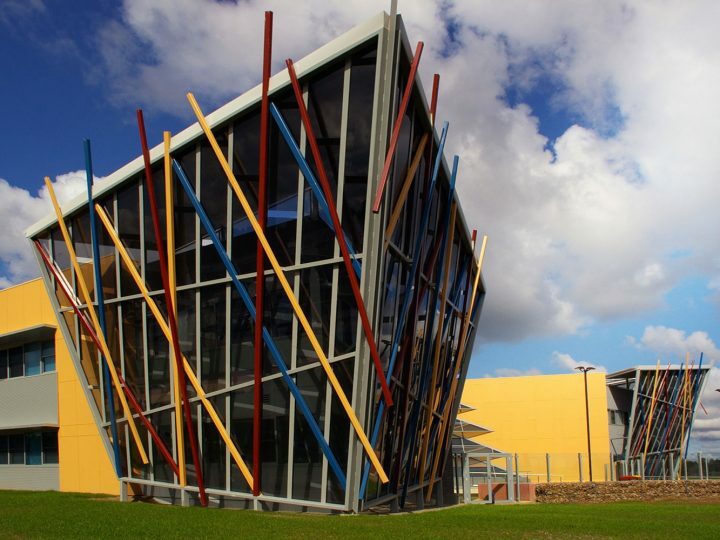 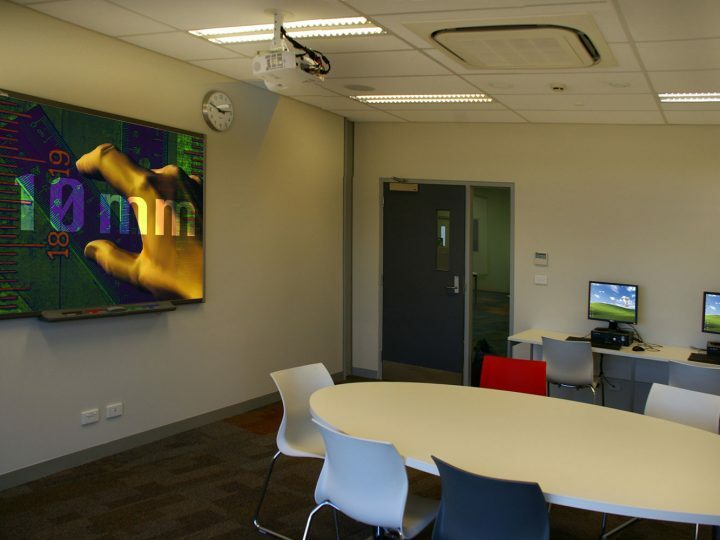 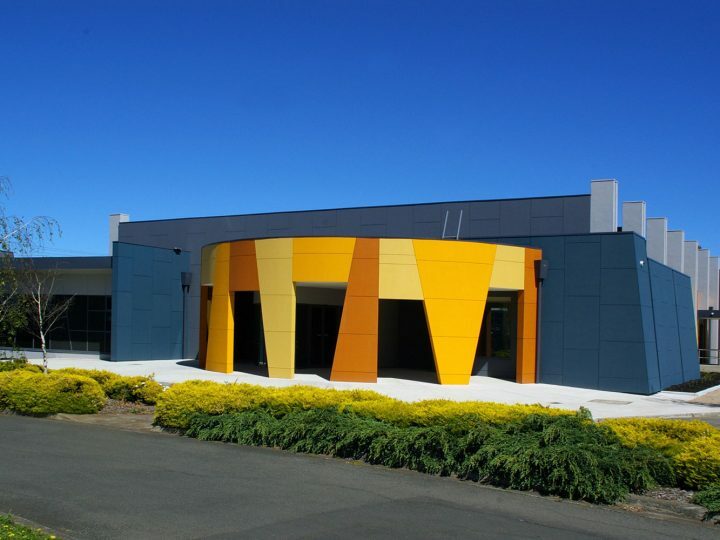 Leveraging the high bandwidth of the NBN, this classroom’s lessons can be beamed anywhere in Australia (in high-definition). 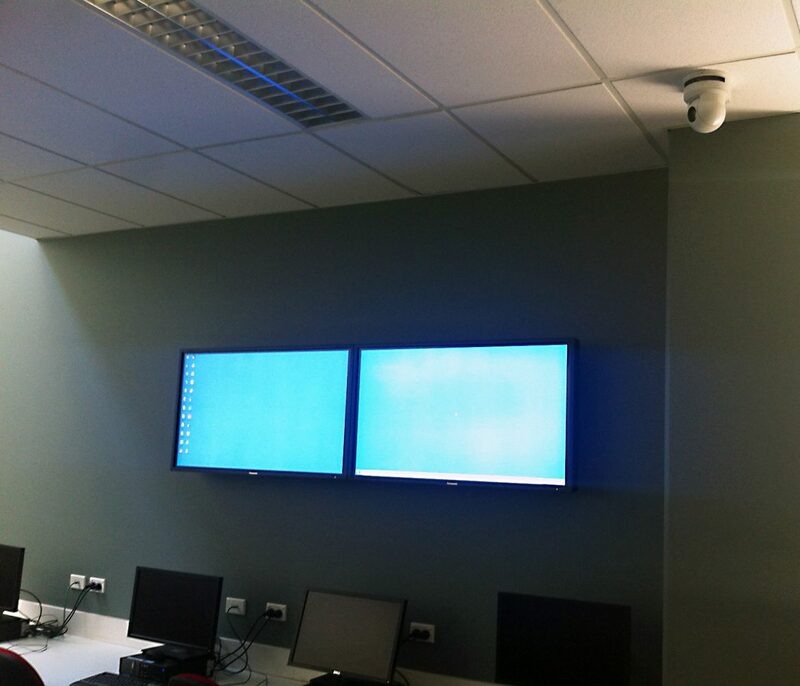 Panasonic 47″ LCD Displays mirrors the teachers desktop and also screens head shots of students in remote locations. 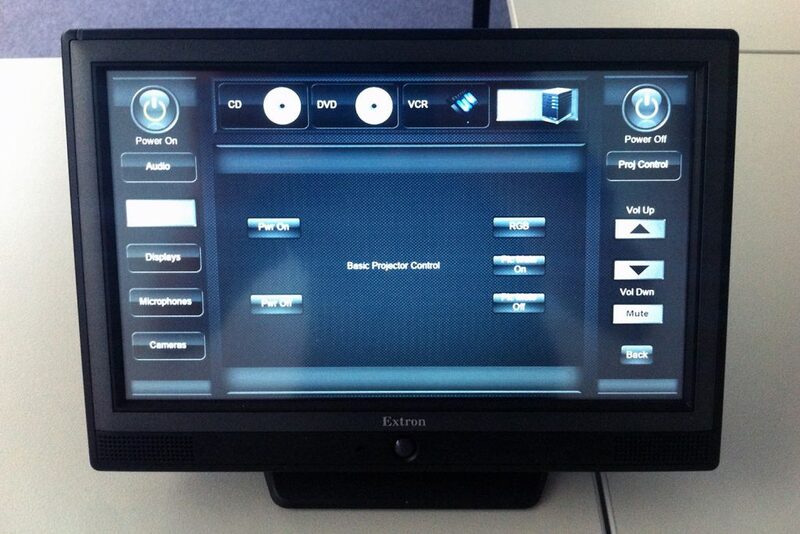 All classroom devices can be controlled by an Extron 10″ Tabletop Touchpanel. 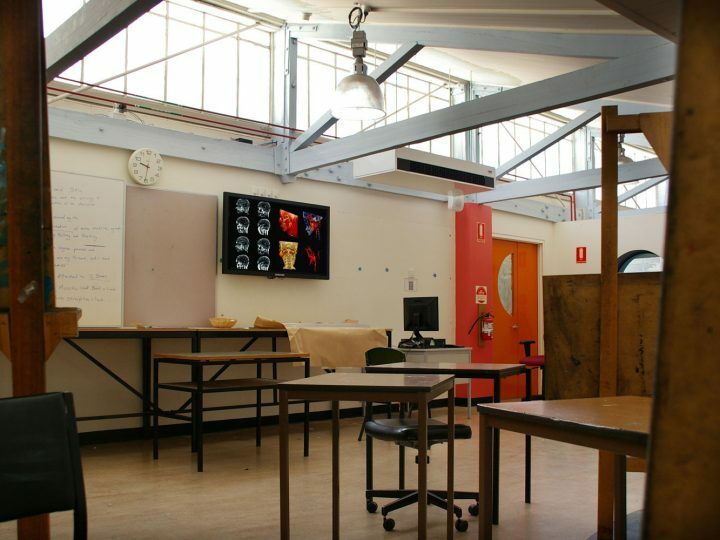 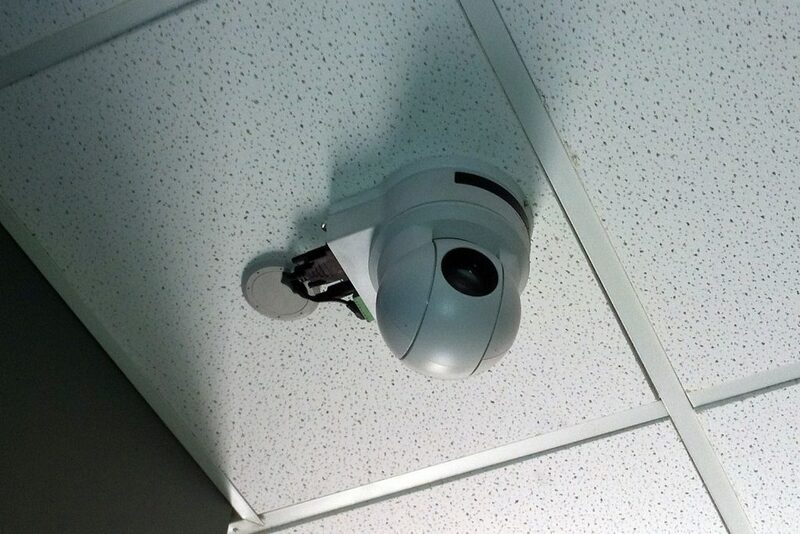 Ceiling mounted Full HD Sony Camera provides footage of the classroom to remote locations. 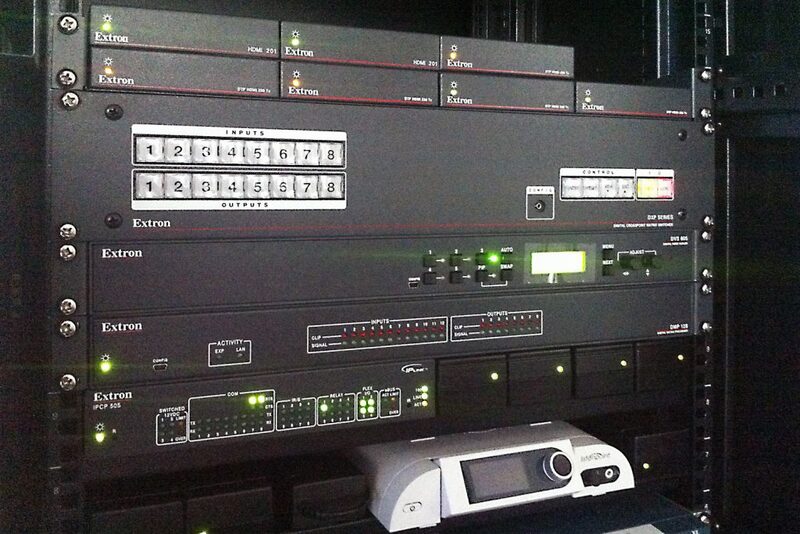 Rack containing Listenpoint classroom sound amplification controller, Extron scaler, processors and matrix switcher.